Having engine or transmission problems? We’ll fix it for you and get you up and running again soon. At Leavitt’s Auto Care, we offer all of the truck, fleet and car repair in Las Vegas that you could possibly need. 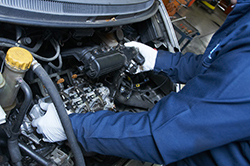 Our auto mechanics undergo extensive and continuing training, so they are capable of handling any problem that may arise with any make or model of vehicle that you own. Whether you need something as major as engine repair or simply need an oil change in the Las Vegas area, we can handle everything for you. In our forty years of experience, we have learned that repeat business is absolutely essential for places that provide car repair in Las Vegas. We use this knowledge to guide all of our services. We know that if you visit us for car brake repair in Las Vegas, you don’t want to have to visit us again because something wasn’t done correctly the first time. We strive to make sure that this doesn’t occur. 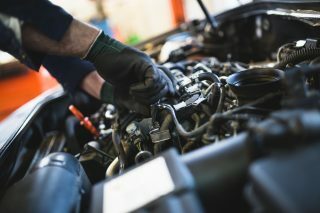 Proper auto repair and maintenance is vital if you want to keep your vehicle going, and our auto mechanics can give you a fair and honest quote on anything that your car needs. Auto repair in Las Vegas simply doesn’t get much better than Leavitt’s Auto Care. The simple fact that we’ve been recognized by the Better Business Bureau for nearly ten straight years shows that our services, regardless of what you need, are way above par. Other Las Vegas auto repair shops may only handle certain services and repairs for your vehicle, but we can handle it all. When you’re looking for an auto repair shop, you don’t have to look much further than Leavitt’s Auto Care. If you’re having any issue with your vehicle or you just need a bit of routine maintenance, give Leavitt’s a call today to set up an appointment. You and your car will be happy you did. ©2019 Leavitt's Auto. All rights reserved.